You might be asking, "So can't I just do my OWN publicity?" Well, sure. It's a free country. You can do anything you like. But Honest Abe makes a good point. Sometimes we are too close to our own "scent" to know how it really smells. Most people in the public eye generally have a skewed view of their current reputation or perceived persona. And even fewer know how to build either from the onset. If you are in the public eye for any reason -- whether you are an artist, an author, or the CEO of a corporation who sells a product to consumers -- you NEED a publicist. What is the role of a Publicist? Simply this -- to make sure you are represented to the media in the best, most positive light. Our relationship with our clients is important. But our relationship with the media is MOST important. If they don't trust us, they won't trust you. And that's the bottom line. Gina Adams has served in the faith-based marketplace for three decades, representing Christian artists, musicians, bands, comedians, producers, films, authors, speakers, pastors, and major conference events. Gina has served in various capacities including artist management, artist booking, event promotion, corporate publicist for a major record label, and public relations representative. In 1994, Gina formed The Adams Group, an independent PR and Marketing firm dedicated to working with Christian communicators who needed assistance with promoting their products and increasing their national exposure. Gina is a member of National Religious Broadcasters as well as the Evangelical Press Association. She holds a B.S. degree in Business and Marketing from Murray State University and recently earned a Certificate in Christian Apologetics from Biola University. 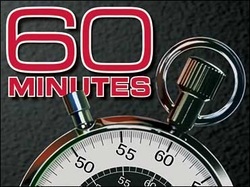 The Adams Group has made numerous accomplishments as an independent PR firm since 1994, including placing the first (and so far, only) full-length interview with a gospel artist on the CBS show, 60 Minutes. The show interviewed the legendary Shirley Caesar. The Adams Group was also in charge of PR for the first two audio releases from multi-platinum band Jars of Clay. Additionally, The Adams Group placed one of the first interviews with a Christian author on the Fox News Channel in 1999. Why do I need a Christian publicist? 41 million faith-driven consumers spend over $2 trillion dollars annually. 23% of Americans spend $25 or more PER MONTH on religious products. In 2014, more than 52 million religious book titles were sold in the U.S, representing an increase of over 10.5% from the prior year. Comparing this to the 2.4% increase for the overall book market, religion is outperforming the market as a whole (Nielsen). 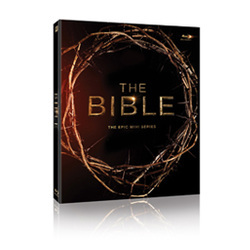 THE BIBLE mini-series on the History Channel was the #1 cable telecast of the year for 2013. The LEFT BEHIND book series has sold more than 50 million copies. The PURPOSE DRIVEN LIFE non-fiction book by Pastor Rick Warren is the best-selling hardcover in U.S. history (2nd only to the Bible). 43% of Americans attend church or synagogue each week, approximately 130 million people. "It's hard to imagine how 140 million consumers constitute a niche."